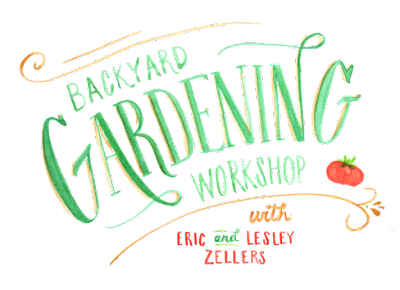 recipe for crazy blog: summer backyard gardening workshop 2015! 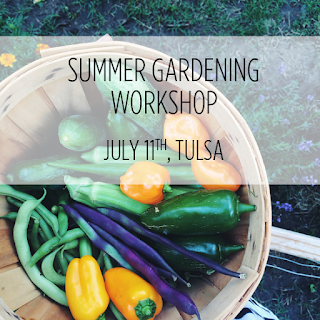 summer backyard gardening workshop 2015! You guys! Today I get to share some details about a special project my husband and I have been dreaming up and I'm just so, so excited! For those that have been around this blog, or instagram (@lesleyzellers), you know my husband, Eric, and I have a mutual love of gardening. 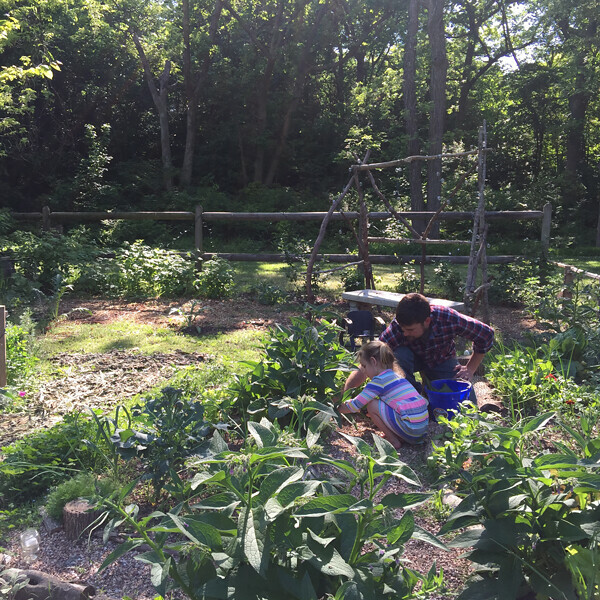 We spend most days outside with our two daughters working in our yard and love being able to try new things and provide fresh food for our family. For Eric, it's been a long-time dream to somehow use his passion for gardening and share it with others. For me, it's been a dream to watch him use those God-given talents and passions to help others. Not too long ago, God placed this crazy idea on my heart to open our backyard to our local community and have a relaxed little workshop where we could bring our dreams to life and share our passions with others in hopes of giving people confidence and understanding to go home and grow their own food. I talked it over with Eric and his eyes literally lit up! We immediately started planning, scheming and dreaming. 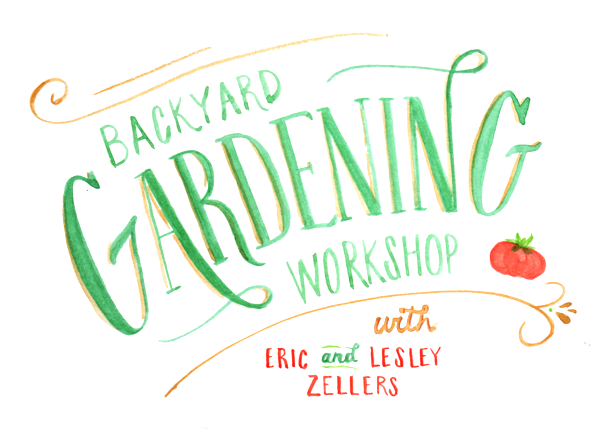 And now today, it is with so much excitement that I get to announce our very first gardening workshop we'll be hosting right here in our backyard!! REGISTRATION OPENS AT 9AM CST. We are so excited to invite you to join us for a relaxed, hands-on experience as we discuss some of our favorite gardening techniques, show you real-life examples in our garden, talk about different methods of growing food as well as make new friends and above all else, have a great time! And my amazingly talented friend, Jessie of Jessie Leigh Photography, will be here to capture or day in the garden! We'll wrap up the workshop with a little q&a session and picnic - so bring your garden layout or any questions you want answered. Donuts provided by local hot spot, Livi Lee's + coffee will start the day with some fresh garden snacks + beverages during the workshop followed by an afternoon picnic to wrap things up. Each guest will go home with some gardening goodies, some of my favorite recipes using garden produce, a set of companion planning cards and gardening tips - plus more surprises I can't wait to share! You can see more details and reserve your spot here (workshop is sold out). Spaces are limited and I really hope to see you there! Also, you should check out the post my sister wrote today. Have I told y'all lately how blessed I am to have such a supportive family? Thanks, Ash. I have to end on one of my favorite videos in my garden. Because carrots! 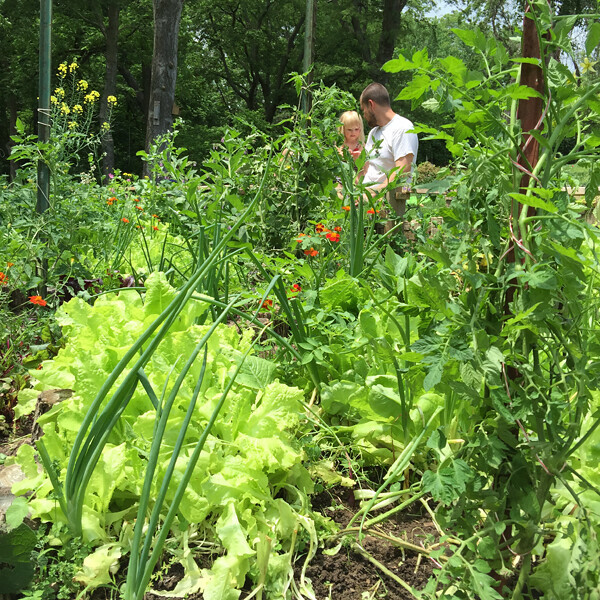 For more on our favorite gardening posts I've shared, check out these: our garden design, beginner gardening tips, garden planning, indoor planting, soil prep, spring planting, comfrey and buckwheat, strawberries. I am so excited about this! I have been following both you and your sister's blogs for a while now and have always envied your garden. I will checking the calendar tonight to see if that weekend works out. If so, I am there!